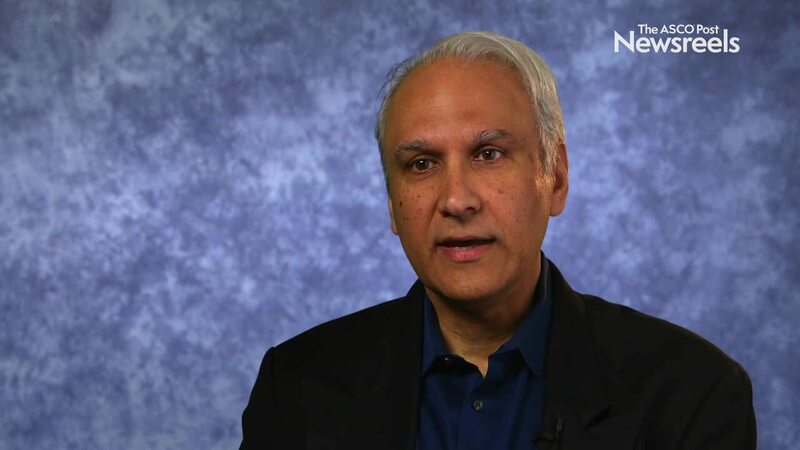 Neil P. Shah, MD, PhD, of the UCSF Helen Diller Family Comprehensive Cancer Center, discusses the feasibility of discontinuing tyrosine kinase inhibitor therapy in select patients with chronic phase chronic myeloid leukemia outside of clinical trials. Frederick L. Locke, MD, of the H. Lee Moffitt Cancer Center and Research Institute, discusses recent approvals of chimeric antigen receptor T-cell therapies in leukemia and lymphoma, and how clinicians are using infrastructure, navigation, and early referrals to maximize response and minimize toxicity. Stefan O. Ciurea, MD, of The University of Texas MD Anderson Cancer Center, discusses the enhanced antitumor effect and lower viral reactivation that result from high doses of natural killer cells infused after haploidentical transplantation, with no excess graft-vs-host disease, a low relapse rate for high-risk acute myeloblastic leukemia, and a low incidence of viral reactivation (Abstract 74). 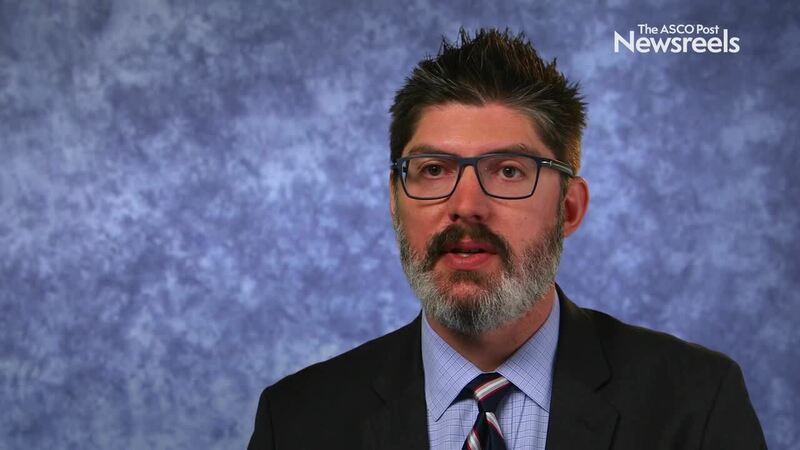 Tait D. Shanafelt, MD, of Stanford University, discusses phase III study findings on ibrutinib-based therapy vs standard fludarabine, cyclophosphamide, and rituximab chemoimmunotherapy in untreated younger patients with chronic lymphocytic leukemia (Abstract LBA4). Shaji K. Kumar, MD, of the Mayo Clinic, discusses phase III findings on daratumumab plus lenalidomide and dexamethasone vs lenalidomide and dexamethasone in people with newly diagnosed multiple myeloma who are ineligible for transplant (Abstract LBA2). 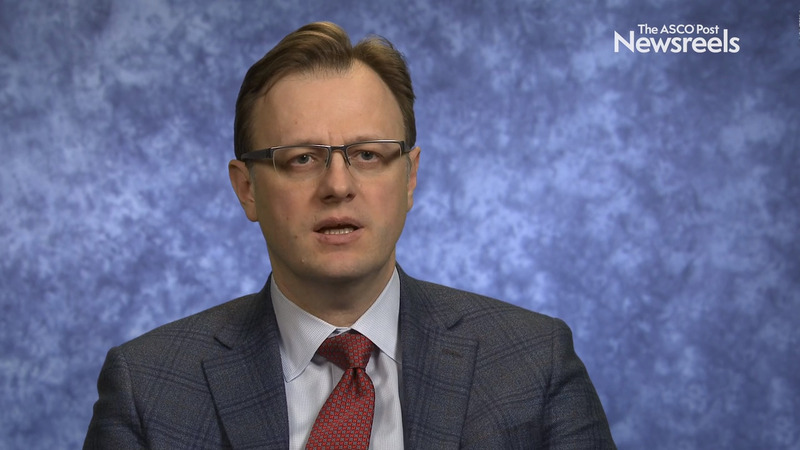 Saar I. Gill, MD, PhD, of the University of Pennsylvania, discusses findings from a prospective clinical trial on the high response rate in patients with chronic lymphocytic leukemia who received a combination therapy of CAR T cells plus ibrutinib (Abstract 298). Julie Vose, MD, MBA, of the University of Nebraska Medical Center, and Merav Bar, MD, of the Fred Hutchinson Cancer Research Center, discuss study findings on the long-term effects in people with relapsed or refractory non-Hodgkin lymphoma and chronic lymphocytic leukemia who received CD19-targeted CAR T-cell infusions, survived more than a year, and had at least 1 year of follow-up data after their first treatment (Abstract 223).